Stephen Lamb developed the idea to use unutilised space on rooftops in the CBD as venues for the production of oyster mushrooms and micro greens in order to create much needed jobs. Our team had the opportunity to transform this innovative idea into a feasible programme. 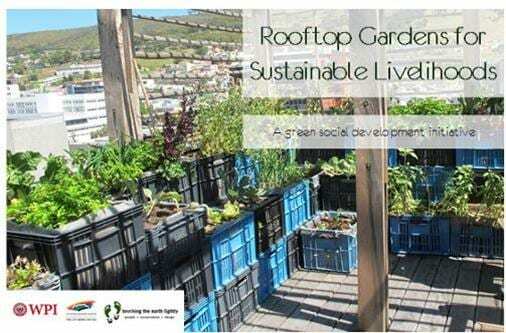 Valuable input from our sponsors was taken and developed into a framework for a sustainable multi-rooftop gardening programme. Multiple rooftop gardens are necessary for the start-up since one rooftop garden would not be able to support garden maintenance, worker training, and the incomes of its supervisor and gardeners. We established that the start-up rooftop gardening programme should be 1000m2 of rooftop garden space tended by 10 full-time or 20 part-time gardeners, managed by one supervisor, and overseen by TEL. We developed a detailed proposal to find corporate funding for the programme. We also created a second proposal for a pilot rooftop which will be used to generate concrete data, establish appropriate gardener training, and determine efficient gardening techniques.